Royal Enfield, the world’s fastest growing motorcycle manufacturer has launched an official online store that will retail its full range of gear. Customers and enthusiasts can now purchase apparel, accessories, riding gear and merchandise from http://store.royalenfield.com/ at any time of the day from the comfort of their homes. In its launch phase now, the store will cater to purchases from customers located in 126 cities and towns in India only. The e-store only accepts online financial transactions. Customers can make purchases using their debit cards, credit cards or through internet banking. Customers can also access the e-store website through different electronic devices like smart phones, laptops and tablets. The online store will make Royal Enfield Gear more conveniently accessible to customers & brand enthusiasts. The e-store retails the recently launched gear collection inspired by the despatch riders of the World Wars that includes leather jackets, knits, t-shirts, trousers, boots and bags. 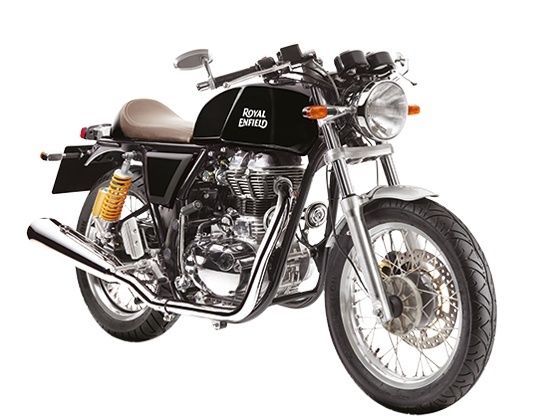 In addition, the Continental GT gear collection and the rest of the Royal Enfield range including meticulously detailed, purpose built Royal Enfield riding gear is also available for purchase. Not Much Of A Change To The 2015 VW Vento facelift That To The Existing Vento – Read Why? BMW i5 Coming In 2018?